CMC Auto Tech Inc. located at 2210 Forum Drive, Suite 105, Arlington, TX 76010 is a Full Service foreign, domestic and diesel automotive repair facility with 10 service bays equiped with the highest quality computer-aided diagnostic and repair equipment. 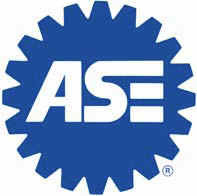 Our technicians are highly trained ASE Certified Master Technicians experienced in all areas of automotive repair. We have up to date information on all year, make, and model of cars including manufacturer's service bulletins & recalls. We meet all your automotive needs. See us for after market extended warranty services. Honest work at a fair price!! Copyright 2009 CMC AUTO TECH INC. All rights reserved.